Any runner who understands the basics of delayed gratification — a principal so central to this sport — could appreciate the Leesburg 20k’s new course, now in its second year. The rolling hills on Dry Mill Road are gone, replaced by a long, grinding grade on the W&OD Trail, one that snuck up on South Riding’s Tatiana Sheptock. She made her return to the race after an eight-year absence. She’s seen some change since then — when she ran she ran 1:40:47 on her way to finishing the Marine Corps marathon in 3:42:40 two months later. This year, she ran 1:19:48 for third place, and will head into another marathon training effort with hopes of running 3:05 at Marine Corps. Both winners took advantage of the relief that came with the downhill to make their moves. Men’s winner Sean Barrett pulled away from Kieran O’Connor after the turnaround and ran to a 1:06:18 finish. Women’s winner Meghan Ridgley, of Ashburn, broke away from Arlington’s Erin Taylor after 7.5 miles to go onto an almost one-minute margin of victory- 1:17:16 to 1:18:12. Both are training for marathons, Ridgley Philadelphia and Taylor Richmond. Ridgley coaches, and races, with the Potomac River Running training program, as does Sheptock and hordes of other top finishers. Barrett’s race strategy changed as soon as he realized that his trainers were not going to cut it. In the rush to get out the door of his Arlington home to get to Leesburg for the 7:30 start, he forgot his racing flats. He’s looking ahead to the Rock ‘n’ Roll Philadelphia Half Marathon, Army Ten Miler, .US Road Racing Championships 12k and USATF Club Cross Country Championships in Bend, Ore., where he’s headed with some of his Georgetown Running Club teammates in December. O’Connor, who finished as the eighth American at the 2012 Boston Marathon, hadn’t competed since that scorcher, but acquitted himself well on the course to run 1:06:40. 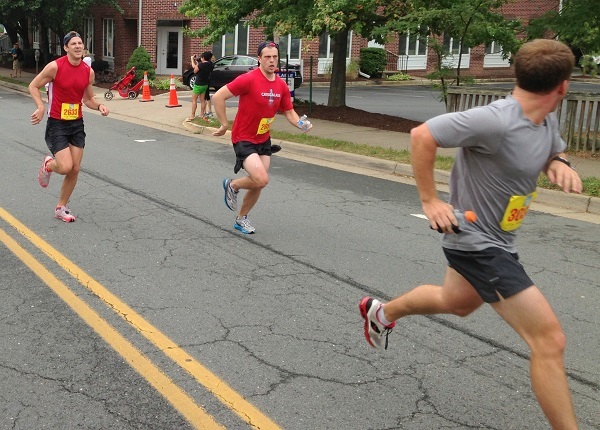 Though runners from farther east cleaned up on the men’s top spots, 249 of the 892 20k finishers were from Leesburg, Ashburn and Sterling, representing well at one of Loudoun County’s top races. 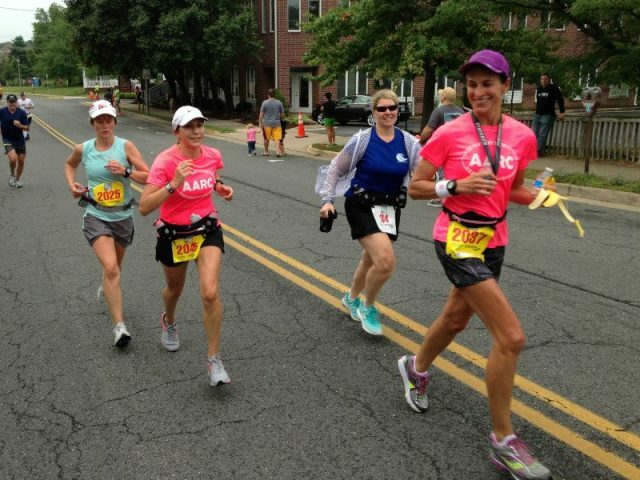 Carole Jones estimated that the Ashburn Area Running Club had more than 30 runners out on the course, and many PRed. Jones ran 1:31:24 to finish 15th and second in her age group, second if only because Oak Hill’s DeeDee Loughran ran 1:22:35 to dominatingly win the women’s masters title. McLean’s John Zimmerman ran 1:11:41 to lead the male masters. Kris Wolcott loved the opportunity to run near home. She was enthusiastic about seeing Ridgley, her coach, running so well. Like Ridgley, she’s headed to the Philadelphia Marathon in November — her first. The race also included a 5k, won by Hugh Toland in 16:16 and Margie Shapiro in 18:19. That option appealed to Sterling’s Jason Lovelady, who ran it while his wife, Suzanne, ran the 20k. The pair is considering their fall racing schedule, perhaps making a repeat trip to a costumed race, where last year the ran as Popeye and Olive Oil. Aug. 18, 2013, Leesburg, Va.